Our storytimes are designed to help young children acquire the skills they need to start school ready to learn. We emphasize early literacy skills such as talking, singing, reading, writing, and playing in our storytimes. Our goal is to provide fun and rich experiences that build a love of books, libraries, and learning that will stay with children for a lifetime. To offer a quality storytime experience for you and your child, attendance at all storytime programs is limited. Storytimes are open to all, first come, first served. In order to provide a more engaging experience, doors close 5 minutes after storytime begins. Our storytimes cannot accommodate school groups, camps, or daycares. 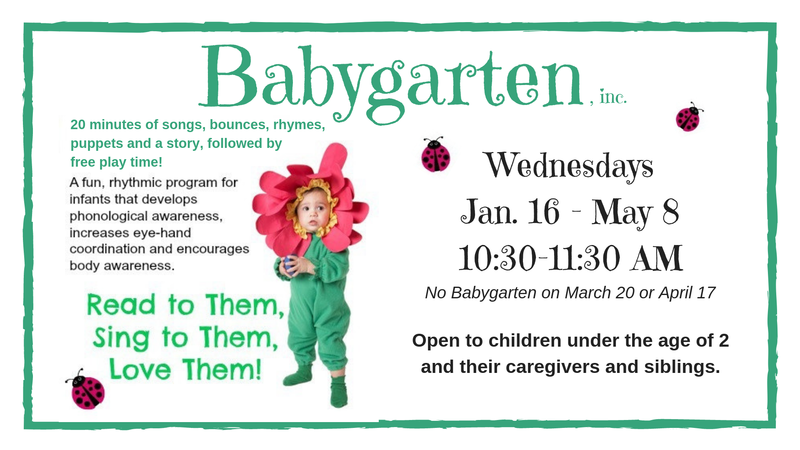 What: The weekly Babygarten class is full of reading, rhyming, singing, and more. 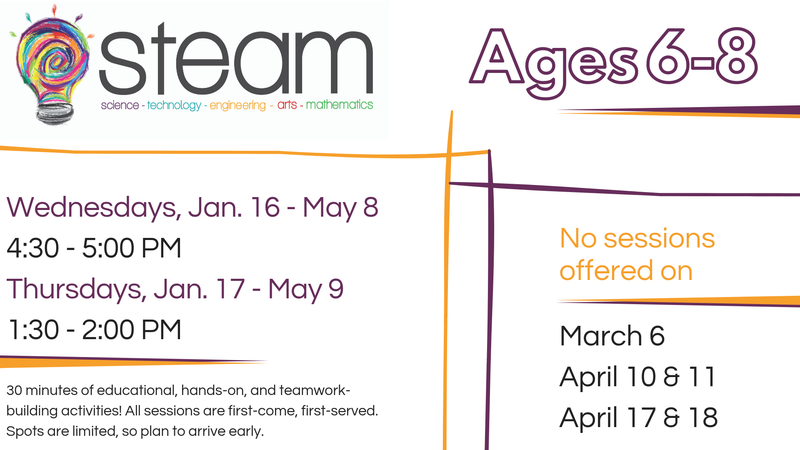 Each class includes a 20-minute circle time followed by a 20-minute free play/activity time. Siblings are welcome. What: The weekly toddler storytime features 30 minutes of stories, songs, rhymes, and movement to promote early literacy skills. 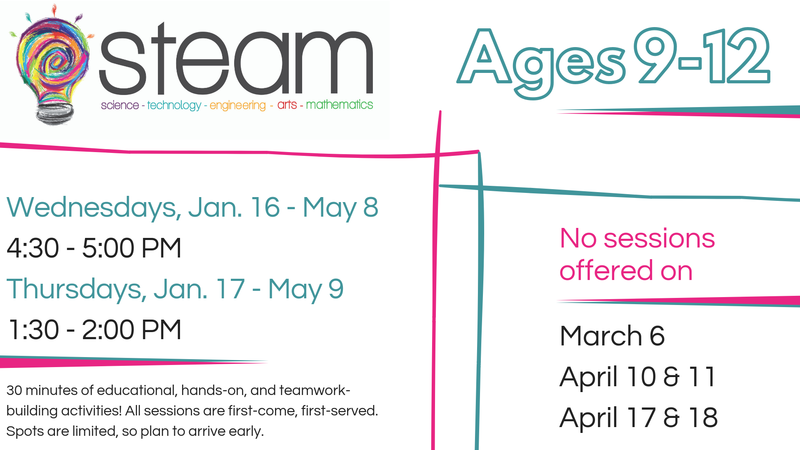 Most weeks will include a craft. Who: Children ages 4 & 5; due to limited materials and the movement activities, siblings cannot attend. Parent/caregiver attendance is optional. What: Junior Explorers combines a traditional storytime with age-appropriate elements of STEAM, as well as sensory and movement activities. These ‘messy play’ activities foster curiosity and imagination, and will follow a monthly theme.